Exporter of a wide range of products which include gefitinib tablet, lenvima, ruxolitinib tablets, oncology drug and sandostatin lar 20mg. 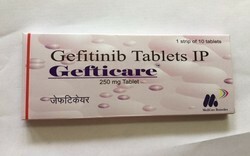 Gefitinib is used to treat metastatic (cancer that has already spread) non-small cell lung cancer in patients who have certain types of abnormal epidermal growth factor (EGFR) genes, and did not receive cancer medicines in the past. Your doctor will perform a test before you take this medicine. Gefitinib belongs to the group of medicines called antineoplastics (cancer medicines). It works by interfering with the growth of cancer cells, which are eventually destroyed. LENVIMA is used to treat differentiated thyroid cancer (DTC), a type of thyroid cancer that can no longer be treated with radioactive iodine and is progressing. 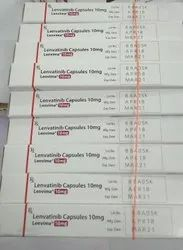 LENVIMA is used along with another medicine called everolimus to treat advanced renal cell carcinoma (RCC) and a type of kidney cancer even after one course of treatment with another anti-cancer medicine. LENVIMA is used to itself as the first treatment for a type of liver cancer called hepatocellular carcinoma (HCC) when it cannot be removed by surgery. 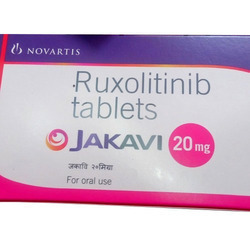 We are engaged in offering a qualitative assortment of Ruxolitinib Tablets 20 mg. These tablets are formulated with the help of premium quality chemical compounds and highly developed technology. Apart from this, these tablets are also examined on varied parameters by our vendors' skilled professionals. We pack Ruxolitinib Tablets 20 mg tablets in premium grade packaging material to ensure their safety while delivery. We are one of the acclaimed suppliers and Exporters of Oncology Drug that are hygienically prepared and packed at our vendor’s location. 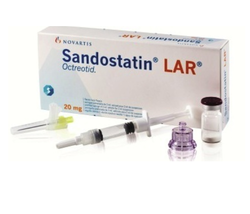 These effective medicines are used for the treatment of non-small cell lung cancer. Further, erlonat tablets, in integration with , are used for curing pancreatic cancer. The range is vastly applauded for its accurate chemical composition. 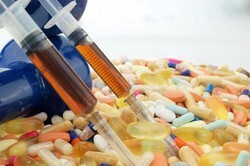 Looking for Anticancer Drugs ?